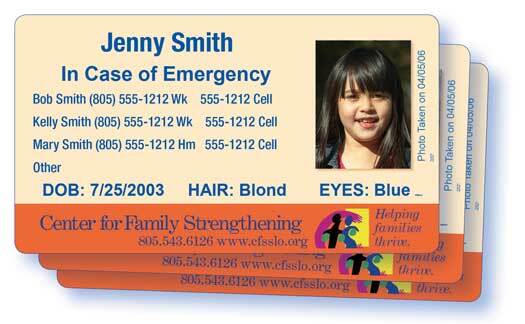 The ID Card is a great way for parents, guardians, caregivers, grandparents, and other close relatives to carry a child’s personal information with them at all times, in their wallet. If the child is missing, the card can instantly be given to the police to assist in recovery. ID Cards can also be given to babysitters and daycare providers, and can be used as a form of identification for children who are traveling. Each card is 3.25″ x 2″ Card and records complete contact, physical, and parents’/guardians’ contact information.